A new analysis of people’s brain waves when surrounded by different magnetic fields suggests that people have a “sixth sense” for magnetism. Birds, fish and some other creatures can sense Earth’s magnetic field and use it for navigation (SN: 6/14/14, p. 10). 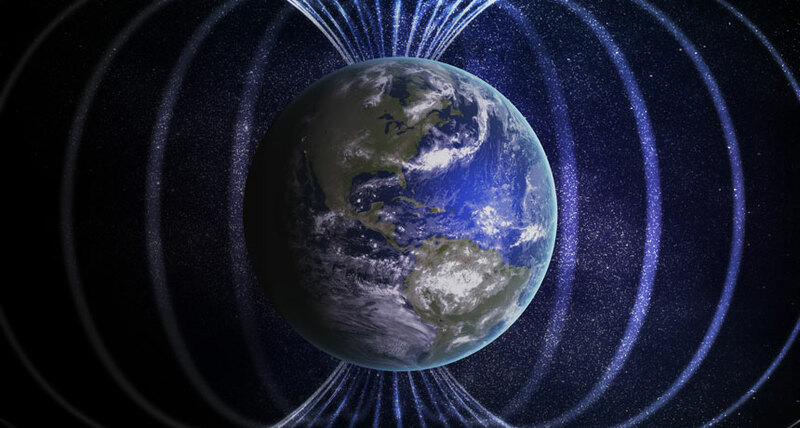 Scientists have long wondered whether humans, too, boast this kind of magnetoreception. Now, by exposing people to an Earth-strength magnetic field pointed in different directions in the lab, researchers from the United States and Japan have discovered distinct brain wave patterns that occur in response to rotating the field in a certain way. These findings, reported in a study published online March 18 in eNeuro, offer evidence that people do subconsciously respond to Earth’s magnetic field — although it’s not yet clear exactly why or how our brains use this information. “The first impression when I read the [study] was like, ‘Wow, I cannot believe it!’” says Can Xie, a biophysicist at Peking University in Beijing. Previous tests of human magnetoreception have yielded inconclusive results. This new evidence “is one step forward for the magnetoreception field and probably a big step for the human magnetic sense,” he says. “I do hope we can see replications and further investigations in the near future.” During the experiment, 26 participants each sat with their eyes closed in a dark, quiet chamber lined with electrical coils. These coils manipulated the magnetic field inside the chamber such that it remained the same strength as Earth’s natural field but could be pointed in any direction. Participants wore an EEG cap that recorded the electrical activity of their brains while the surrounding magnetic field rotated in various directions. This setup simulated the effect of someone turning in different directions in Earth’s natural, unchanging field without requiring a participant to actually move. (Complete stillness prevented motor-control thoughts from tainting brain waves due to the magnetic field.) The researchers compared these EEG readouts with those from control trials where the magnetic field inside the chamber didn’t move. Joseph Kirschvink, a neurobiologist and geophysicist at Caltech, and colleagues studied alpha waves to determine whether the brain reacts to changes in magnetic field direction. Alpha waves generally dominate EEG readings while a person is sitting idle but fade when someone receives sensory input, like a sound or touch. Sure enough, changes in the magnetic field triggered changes in people’s alpha waves. Specifically, when the magnetic field pointed toward the floor in front of a participant facing north — the direction that Earth’s magnetic field points in the Northern Hemisphere — swiveling the field counterclockwise from northeast to northwest triggered an average 25 percent dip in the amplitude of alpha waves. That change was about three times as strong as natural alpha wave fluctuations seen in control trials.